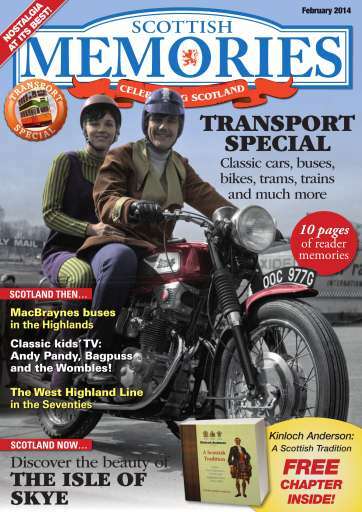 TRANSPORT SPECIAL - we celebrate the trams, trains, buses, boats, bikes and cards of yesteryear, and the people helping to keep our transport heritage alive. 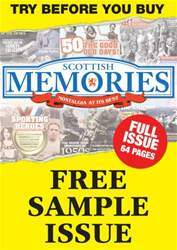 ALSO INCLUDES: free chapter from new book Kinloch Andersen-A Scottish Tradition. 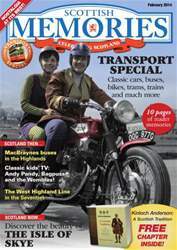 PLUS: Torvill & Dean, Classic kids' TV, your guide to the isle of Skye, headlines from 1947, reviews, puzzles, and more!